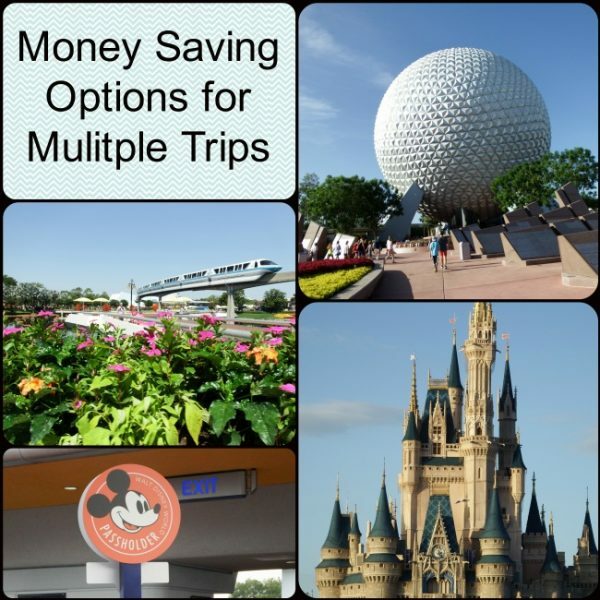 For those wanting to plan one or more future trips to Walt Disney World (and who doesn’t?! ), there are a number of money saving strategies that help for multiple trips. The usual method for money saving is to watch for special promotions from Disney throughout the year. While Disney has released some pretty great deals in recent years, these money saving specials are often centered on the slower times at the parks. It can sometimes be difficult for families with children who are in school to take advantage of these offers. In addition, they are often for travel dates six months or less in the future, and can require making quick decisions with not a lot of time for planning or saving. There are other approaches to planning future trips with the goal of saving money on tickets, rooms, or complete vacation packages, and these generally fall into two main categories: “purchases in advance” or taking advantage of Disney’s “return” offers. Of course, with the advantage of saving money, there are also a few disadvantages with both of these options too. The disadvantage of making purchases in advance is that it will require an up-front outlay of cash to insure future trips at a comparatively reasonable cost. The disadvantages to booking one of Disney’s return offers is that you may again be in the position of having to your plan trip during off-peak times and making snap decisions, although some of these deals offer savings better than you might otherwise find. If you purchase an Annual Pass, you’ll have until the same month and day the following year before it expires, or 366 days. You’ll also have unlimited admission to Walt Disney World during that time with park hopping privileges, as well as access to other discounts and benefits. The money savings benefit works like this. Let’s say you’d like to take your family to Walt Disney World two summers in a row. By purchasing an Annual Pass, it could be absolutely possible for you to save money; it’s all in the timing! For example: you decide to purchase an Annual Pass at the beginning of Trip A. You then take Trip A and visit Walt Disney World starting on July 10th for 7 days. Then, the following summer, simply plan to take that year’s family vacation (Trip B) a week or two earlier (like on June 23rd for 7 days), and voila, you’ll end up saving money on tickets! At current prices (including taxes), two 7-day adult Tickets in June with the Park Hopper option (one for the first year and one for the second) would cost $1118.38 that’s around $166 more than the $952.11 cost of an Annual Pass! If you have children age 3-9, buying them an annual pass will save about $125 over the price of each of their Disney tickets with park hopping for two years. Furthermore, you’ll come out ahead on this deal even if you plan two annual trips of just 4 days. This method of trip planning can save some significant cash. Another great perk of that Annual Pass is that you can also use it to get discounts on your resort room during certain times of the year, as well as discounts on food and merchandise at select locations. If you’re staying at a non-Disney hotel, you’ll also save on parking at the parks. You will also get access to Memory Maker, a great benefit for families to get some magical pictures from Disney. 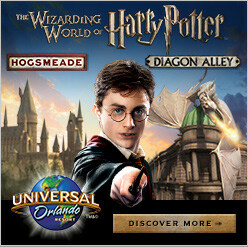 You can save even more by combining special offers and upgrading to an Annual Pass. Say you purchase a Disney vacation package one year at a great savings, such as the “Free Dining” deal. If you were already considering purchasing an Annual Pass for two trips, you could upgrade the Disney Base ticket that comes with the package with “Park Hopping” to get closer to the price of an Annual Pass and take advantage of the extra option at the same time (just be sure not to go over the price of an annual pass). Then before your vacation is over (or the ticket expires), upgrade to the Annual Pass for your next trip, paying the difference between the two tickets. The principle (and price) is basically the same as using an AP twice, but you can do it while taking advantage of some Disney’s great vacation promotions and specials that include purchasing tickets at the same time! Just remember if you add the “Park Hopper Plus” option to the ticket and then use the ticket before upgrading to an Annual Pass, you’ll have to upgrade to a Platinum Plus Annual Pass which may not be as cost effective. Also remember that your Annual Pass will begin from the first day of the Disney theme park ticket, not the first day you use your Annual Pass ticket. Be sure that your next planned trip falls within the dates of your AP. See ticket upgrades for more info. Unlike Disney’s current tickets, the unused days on Disney’s former ticket media, Park Hopper and Park Hopper Plus tickets, never expire, and neither do the “Plus” options. These tickets cannot be upgraded, but Disney will still honor them for admission to the park at no additional charge. If you have old Walt Disney World tickets lying around, take them to Guest Relations outside of the park to exchange them for admission tickets. Tickets with no expiration date will likely be from 2004 or prior. Walt Disney World Bounce Back promotions are special deals offered to current Walt Disney World guests to entice them to make return visits. These are usually excellent deals with deep discounts and come in the form of flyers left in resort rooms. Such offers are made during random periods throughout the year and there is no guarantee that a guest will receive such an offer. In the past, Bounce Back offers have typically been for room discounts of 20 to 40 percent off regular rates, depending upon the class of resort, and some have been for Free Dining. Bounce Back promotions are for return visits during specific “non-peak” times of the year and must be booked with a deposit before guests complete their stays. TheMouseForLess Tip: If you are considering booking a Bounce Back offer while at Walt Disney World, decide if you want insurance before handing over your charge card. Disney often adds insurance automatically, and once the deposit is made, the cost of insurance is non-refundable. You may want to consider adding insurance through an outside source such as InsureMyTrip to save money on your next trip. Some guests staying at the Walt Disney World resort during Free Dining promotions have reported receiving Bounce Back offers that included Free Dining for the following year. Packages offered are typically for a 5-night/6-day stays at a particular Walt Disney World Resort hotel and included room, tickets and free dining. Other resorts and lengths of stay beyond those mentioned in the flyers were often available but limited. There is never a guarantee you will receive such an offer, and guest selection for these offers seems to be random. Reports from those staying at Disney during certain bounce back offers were that they were offered at some resorts and not at others. Guests were also told that the selection was random and resorts had no control over where they were offered. If, however, you would like to return to Walt Disney World in the near future and don’t see a flyer for a Bounce Back offer in your room, inquire at the front desk as to whether a return offer is available. It never hurts to ask. In recent years, Disney has been sending out postcard and email offers with personal PIN codes for reserving Disney rooms and vacation packages. These offers represent very good savings on select resorts during specific non-peak times of the year. It is not possible to request a PIN code offer and offers can not be used by anyone else. Sign up for as many Disney e-mail lists and alerts as possible on Disney.com (make sure you check mark the button that says “Sign Up for Disney Parks Updates” on the lower right side of the page) and order the latest Disney Planning DVD on the same page. Sign up for special e-mails at DisneyStore.com. Try answering Disney surveys either online or in the parks. Cast members taking guests’ information in the parks can generally be found in the area immediately after entering through the ticket turnstiles. Look for the cast member holding an iPad. Another class of return offers from Disney are standing and special offers to other Disney destinations. Generally, there is always a return offer from Disney Cruise Line and Adventures By Disney. Both have been known to routinely offer guests who re-book within a year some sort of special deal. Disney Cruise Line offers a 10% discount plus up to $200 Onboard Credit when you book your next Disney cruise while still onboard. In addition, those booking 7-night or longer sailings will also receive reduced deposit on their cruise. The onboard booking policy includes blackout dates in which guests will not receive the 10% discount, but will still receive onboard credit. Guests who book onboard must travel within 24 months of making the onboard booking in order to maintain these benefits. Guests sailing with Disney Cruise Line can take advantage of the onboard offer without selecting an actual sailing date. The confirmation will include a confirmation number, but will not display details such as ship name, sail date or category. Once a guest decides on an actual sail date, he/she can reference the confirmation number when calling to modify the booking. For more info on Disney’s Return Cruise offers, visit our Disney Cruise Line Discount page. Any of the above offers can be secured through Disney, and additional special offers, promotions or Onboard Credits can be obtained by transferring an existing Disney reservation or return offer reservation (made within the past 30 days) to a Disney-specialized travel agency, such as The Magic For Less Travel. Just be sure to explore all of the available options prior to checking out during your current visit. 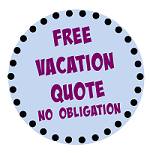 For more information on special promotions and transferring reservations, inquire at info@themagicforless.com. If you’ve missed out on Disney return offers, visit our Current Codes and Discount page to see if there are any existing offers that will work for your future visit. Tables in Wonderland – Tables in Wonderland gives users a discount on dining. This discount has an upfront cost, but may save money if you enjoy dining and plan to take several trips in one year. Annual Pass Discounts and Benefits – As previously mentioned, Annual Pass discounts can provide some savings and add a few perks. A few of the significant benefits include: Free Parking, Merchandise Discount, Dining Discount, Recreation Discounts, and Free Memory Maker. Non-Disney Resorts or Hotel Points – Many hotels offer savings for multiple stays over a period of time. If you have some rewards points built up see if you can use them for a Disney vacation! There is a Hilton, Best Western, Holiday Inn, and Wyndham in the Disney Springs Resort Area. These hotels have similar perks to Disney resorts with Extra Magic Hours, Transportation, and early access to Fastpass+. Airline Points – If you have some frequent flier miles built up from traveling often, you can save some money on airfare for multiple trips. Check if this is an option for your vacation.